Summer 2018 marks the launch of a completely new Q product: Q Panel 16M. The new panel option is similar to the already existing Q Panel 16 in size, but it has up to four built-in LAN ports that enable quick and easy multi-screen installations. 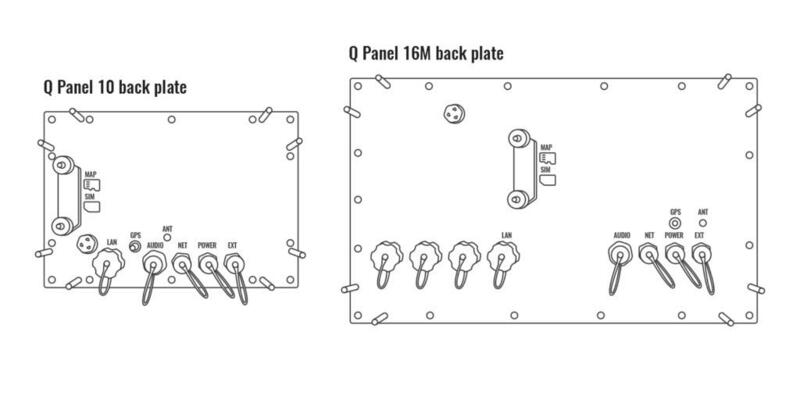 The new Q Panel 16M has 4 LAN switches where the extra Q Panels can be connected via simple Ethernet cable. This will cut down the installation time and eliminate the need for an additional switch that takes up valuable space. The result is a cost-effective solution that is easy for anyone to install. 16M’s four LAN switches are located in back plate’s bottom left corner. The M type is currently available only for Q Panel’s 16-inch model. This is due to the bigger model’s popularity especially in the newer boats. But the smaller Q Panel 10 can still be connected to multiple screens through a separate switch box designed by Q Experience’s manufacturer Nextfour Solutions.